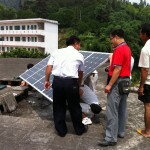 In July, 2011, China Care International was able to deliver and install three 1.5 kilowatt solar generators along with new computers in 3 different rural schools in western China. 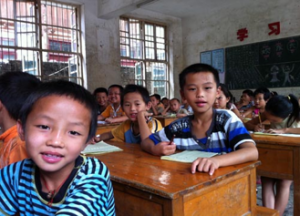 Two were installed in primary schools in Guangxi province and one was installed in Hubei province. 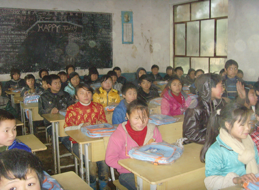 Three other systems were purchased and shipped to poor rural areas, one to Tibet, one to northeast China, and one to a relief organization in the Philippines. The two in China will be set up later this year, and the one in the Philippines will be used to train local officials and students in the use of solar power and how to set up a solar power system. It will also be used in response to disasters on a temporary basis. The children in these schools will now be able to use computers to learn language, math, and other subjects, and will also learn basic computer skills. The electricity in these areas is sporadic at best. With a stable power supply and basic computer skills, the world has become a lot bigger for these children.